Lady Astra... A Star Seed ! Having been born with the gift of sight I have spent my life helping others find the clarity they seek. My grandmother was Born with the gift of sight, from beyond the physical realm. I was trained and encouraged to develop my ability, with guidance from Spirit. 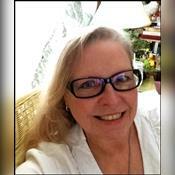 I have worked as a professional psychic and spirit guide for over 45 years. having assisted law enforcement with multiple cases.My guides come to teach me and show me things that are needed. I did not choose this gift it chose me. My great grandmother was a full blooded Cherokee Medicine Woman and she taught me, as she had been raised, and how to accept this gift without fear. As a true empath and psychic, I use multiple tools to translate what your guides are trying to tell you. I have worked professionally for over 45 years helping you to understand the hidden messages that are being sent to you via dreams and the universal guidance to show you the path you are seeking. Another great reading!! Thank you so much! Thank you Astra! You are awesome and I appreciate your guidance! Thanks for being there for me. "A Real Psychic Over 45 years of Proven Results"
Is life driving you crazy? Do you need help with Love, Money, or Career Issues? You do have the power to shape your own future! I will help you find your answers. "Talk to a True Psychic ! Allow me to use my abilities to help you today. You were lead here for a reason, don't hesitate. Talking to me is like talking to a caring friend. I am honest non-judgmental,and spirit guided. Your future is still ahead. I can guide you on the path and direct you to your true destiny and hearts desire. Call me now or schedule an appointment. The rest of your life begins TODAY! Volunteering her gift also to help the Police on several cases. Lady Astra has been a user of Keen since 2001. Getting Dream Interpretation advice from Lady Astra through www.keen.com is safe, secure and confidential.